Forty years ago a great revolution against a dictatorial monarchy was in progress in Iran. 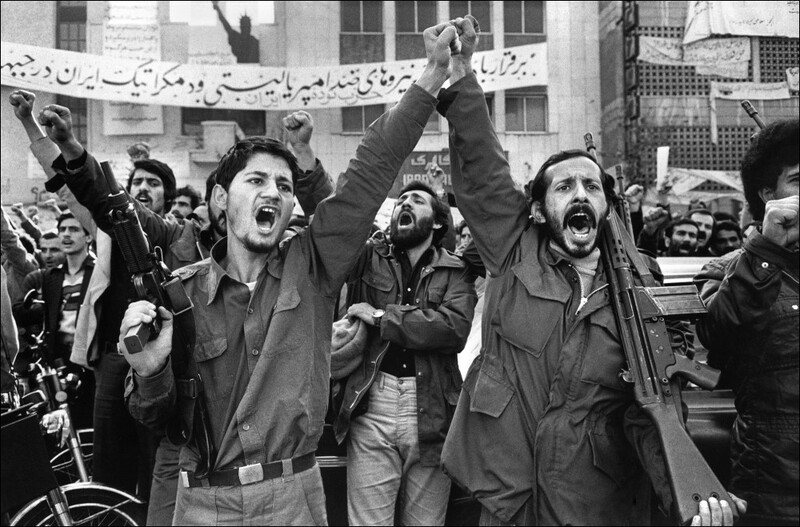 Recalling those days still inspires us: scenes of comradeship despite the shortages due to long days of nationwide strikes, initiatives by ordinary people to run their communities and workplaces, mass demonstrations, resistance to sometimes brutal repression and the pinnacle of those events – an armed insurrection that overthrew the old regime of the Shah. The subsequent seizure of power by the most reactionary section of Iranian society has provided pro-capitalist reformists, monarchists, liberals and so on, with an excuse to condemn not only Iran’s 1979 revolution but also to deny the necessity of revolutionary change. Iran’s modern history is characterised with two great events. First, the 1905-1911 ‘Constitutional Revolution’ which aimed to put an end to the feudal rule of the Qajar dynasty. In his place his son, Mohammad Reza Pahlavi, was declared Shah (King). These events opened up a new phase in Iranian history as workers’ and popular movements developed. This defeat was mostly due to the weakness of the National Front led by capitalist-nationalist prime minister Mohammad Mosadeq and the inaction and cowardice of the Tudeh Party’s leadership, formed in the 1940s as the successor to the Iranian Communist Party. The Tudeh Party leadership’s full submission to the Stalinist Soviet Union increasingly weakened its appeal. At the same time, as a result of its programme of allying with what it saw as the ‘progressive capitalists’ as the next step in developing Iran, it failed to use its mass influence to independently mobilise the working class and poor around a revolutionary socialist programme, and thereby failed to take advantage of that historic chance. In the years following the 1953 coup, along with excessive repression, the Shah’s regime earned huge revenues due to a rise in oil prices. Under US auspices, the regime carried out a land reform, which accelerated an imperialist-dominated capitalist development. The Shah, who embodied the feudal class, now represented the ‘comprador bourgeoisie’ (local capitalist class acting as a client of imperialism). This increased friction between the regime and sections of the clergy, like those around Khomeini – although the regime continued to be on good terms with senior clerics who always served as a barrier to the left and revolution. Through petrodollars, Iran’s GNP (total output plus overseas earnings) growth rate reached about 30% in 1973. However, the Shah’s ambitious plan to modernise the country with the support of imperialist powers (which had assigned him the role of ‘policeman’ of the Middle East) ended up in a crisis. The economic downturn and the unprecedented gap between the poor and the rich ignited the masses’ wrath, but this was only a part of the story. The people viewed the Shah as a puppet of imperialism and believed that the US was plundering Iran with the aid of the regime. General strikes paralysed the regime. More than 100,000 oil industry workers inflicted the heaviest blow on the moribund regime by a strike which cut off Iran’s oil exports. In the last weeks of the monarchy the militancy of the masses grew. This alarmed both imperialism and Khomeini. People demanded: ‘Leaders! Arm us!’ But, Khomeini’s aides were in covert negotiations with US officials and the army generals. Just a few days before the armed insurrection, Khomeini said he had not ordered a jihad (holy war) and desired a peaceful transfer of power. However, the tempo of events in a revolutionary situation was so high that nobody could either predict or prevent people’s moves. On 10 and 11 February 1979, clashes between pro-revolution junior officers and monarchists in a barracks ignited the armed insurrection. Alongside the weakened state, revolutionary organs – councils and committees – mushroomed all over the country and ‘dual power’ emerged. Khomeini and his clique initially had to move carefully to curtail and then crush the revolution. Two years after the revolution, the new regime began crushing it, using false slogans that they were ‘protecting the revolution’. A wave of executions and arrests of political activists, dissolution of people’s councils and committees, and the imposition of a regime of terror, left almost nothing of the revolution’s gains by the mid-1980s. Based on the dominant ‘anti-imperialist’ discourse of those years, many on the left were disoriented when Khomeini’s regime continued its confrontation with the Western powers, despite an expectation that it would soon turn into an ally of imperialism. This policy led to sacrificing the immediate demands of the working class for illusory “non-capitalist development” under Khomeini’s reactionary regime and, ultimately, to collaboration around 1981 with the regime’s purge. The Iranian revolution taught a historic lesson: that socialists cannot select their allies on the basis of ‘my enemy’s enemy is my friend’. The rise of the reactionary political Islam in recent decades is a proof of this. Based on its faulty understanding of the situation, the ‘revolutionary’ left – which expected a new revolutionary wave to rise – failed to secure an organised retreat after the Islamic regime started its huge crackdown in 1981, leaving rank-and-file members vulnerable to brutal repression. political – including the right to form independent workers’ organisations, for re-nationalisation of privatised companies and for some form of workers’ control. Under the repressive theocratic regime, workers are battling to form their own organisations for economic and political activities. But as in 1979, there also exist forces with the potential to hijack this new revolutionary wave – pro-imperialist monarchists, liberals, reformists, bourgeois nationalists and so on. Under these critical circumstances we must learn the lessons of the 1979 revolution. This means adhering to a revolutionary socialist strategy. It means moving to build independent workers’ organisations, including a mass party that can clarify the steps needed to achieve the real transformation of Iran. Previously, the regime’s incessant campaign against the left, for which it found religion a good tool, provided the mullahs with an opportunity to expand their networks. Security forces arrested Esmail Bakhshi and Sepideh Qolian. Under mounting public pressure, including international condemnation, and the continuation of workers’ protests, the regime freed them after one month’s detention.